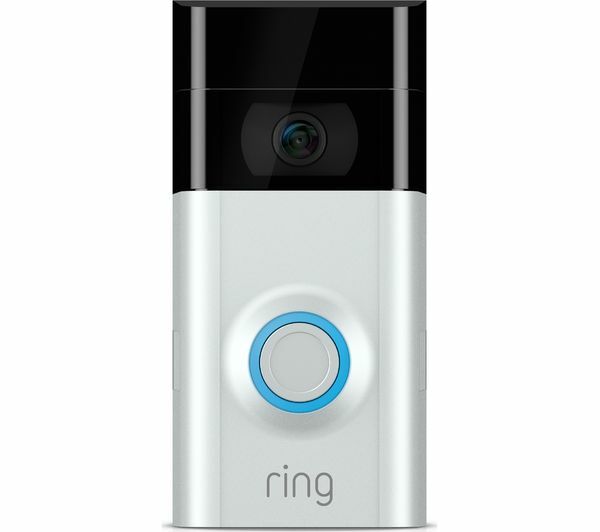 Modernise your home with the latest Smart devices to make your life easier with the Ring Video Doorbell 2 & Echo Spot Bundle. 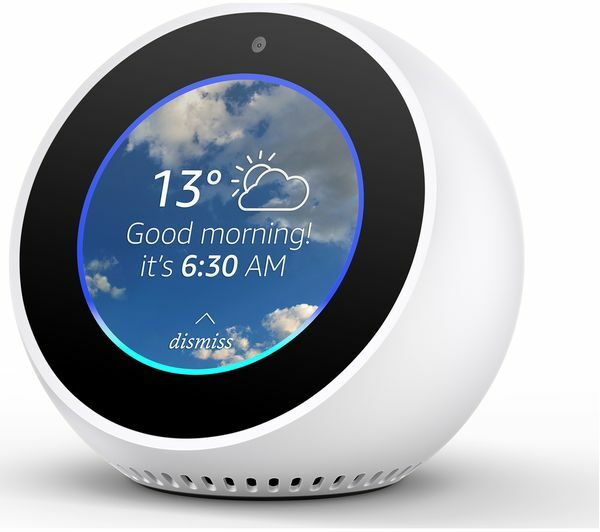 The Amazon Echo Spot makes it incredibly easy to control your home with your voice. Set a music alarm with your ‘getting ready' song just by asking your smart speaker (Amazon Music, Spotify & TuneIn supported). Ask for a video flash news briefing to stay up to date. Display your favourite picture of your kids as a beautiful bedside photo to wake up to. 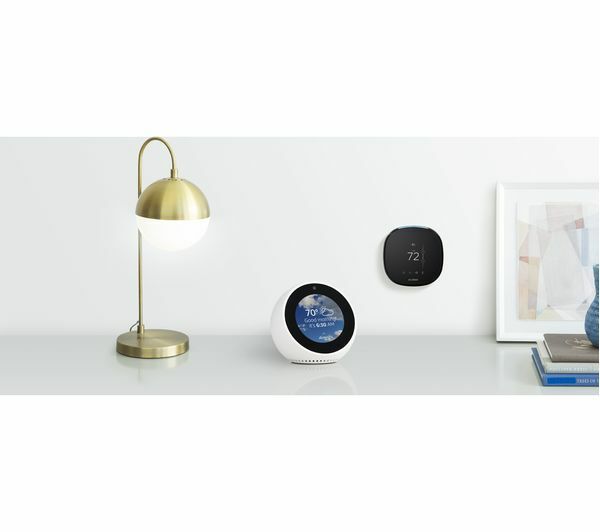 Control your lights, heating, home security and much more with your Amazon Echo Spot. 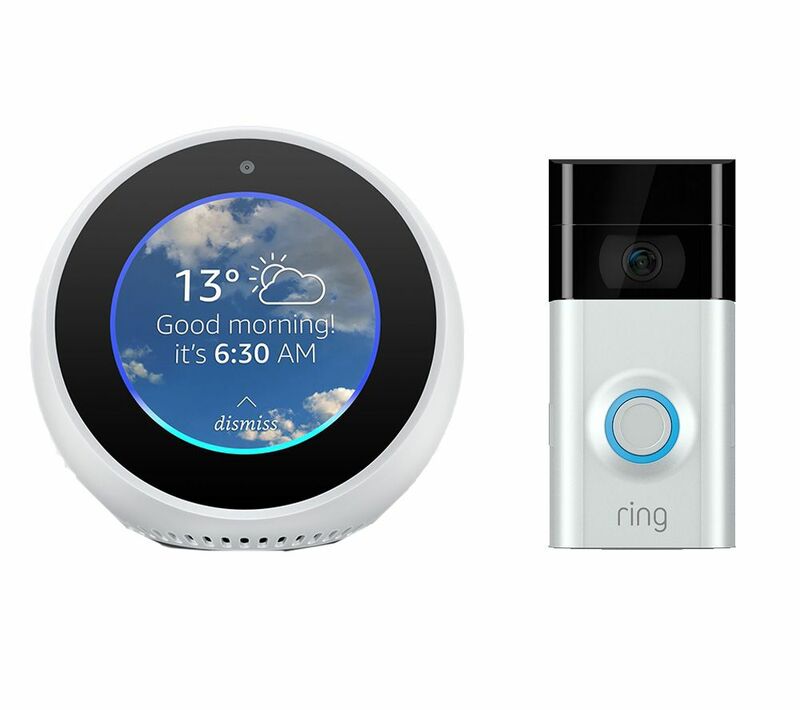 Alexa offers compatibility with smart home devices across a wide range of manufacturers, so you'll find that linking everything that turns your house into your home is an easy and seamless experience. 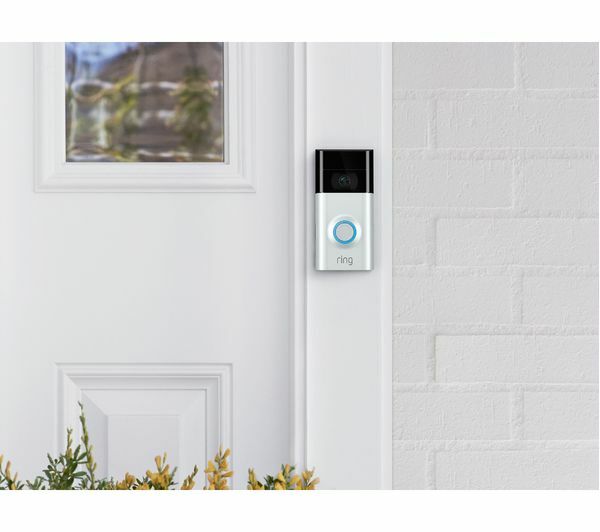 It's not just your home you'll be able to control, either. Use just your voice to order pizza from Domino's, track your fitness with Fitbit or even order more essentials with Amazon Prime.